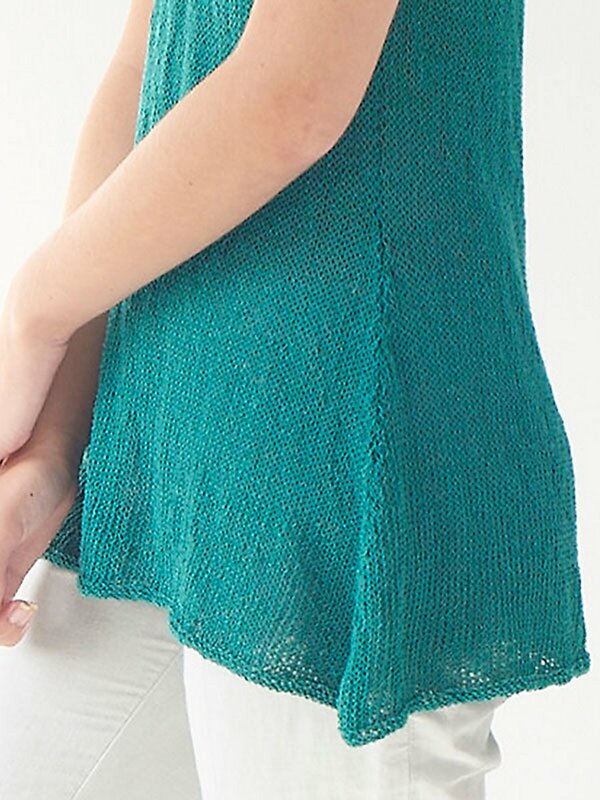 Taken from Berroco's website: "Filia" - Stunning in its simplicity, this summery tank features a wide, draping hem in a slinky yarn. Size US 4 and US 6 straight needles, and US 4 24" circular needle (or size needed to obtain gauge) are required but not included. Finished Bust Measurements: 32(36, 40, 44, 48, 52, 56, 60)" after blocking. Garment is designed to have 2-4" of positive ease. Gauge: 21 sts and 28 rows over 4" in stockinette stitch on larger needles. Color Shown is #8540 Athena.